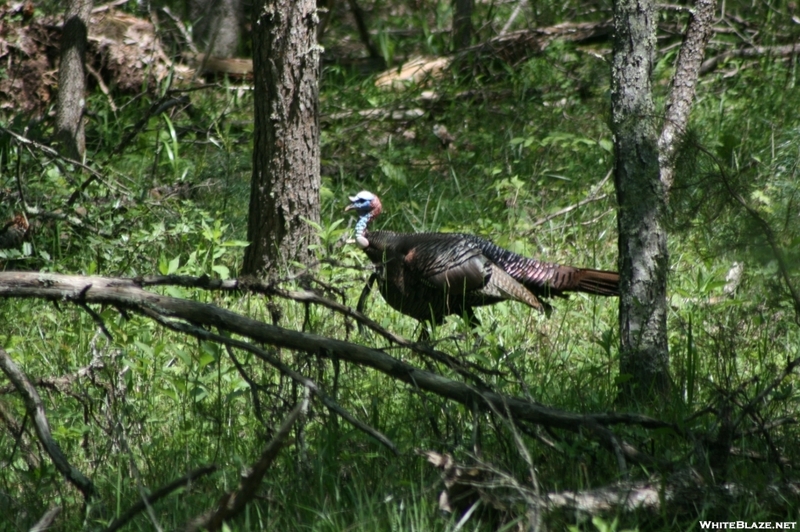 Wild turkey in the woods, moving.. It took a lot of attempts to finally get a shot that isn't blurry. Some folks hunt with guns I prefer to hunt with a camera and to me this shot is a trophy. Wow, it's tough to get a good picture of a wild turkey! Cool!